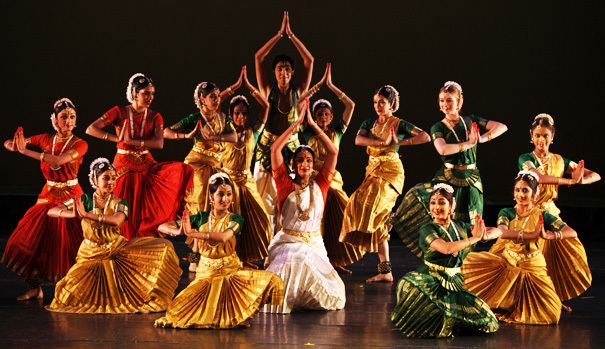 Abhinaya Dance Company opens the door to South Indiaâ€™s rich cultural background through in-school performance demonstrations at San Jose area schools. This 45-minute presentation with colorful costumes and distinctive movements introduces Indian dance and Hindu culture to youth of all races. Dancers depict stories from Hindu mythology such as the charming stories about the child Krishna, and the heroic ones of the prince Rama. The storytelling comes to life using a language of hand gestures that are centuries old, while the ankle bells enhance the complex rhythms of the footwork. Abhinaya dancers regularly participate in performances for community events held at festivals, temples, museums, libraries, and senior centers. 48 hour notice for cancellation.